Geert JM Vanderkelen, based in Berlin (Germany), works for DCSO Deutsche Cyber-Sicherheitsorganisation GmbH, a cyber-security company. 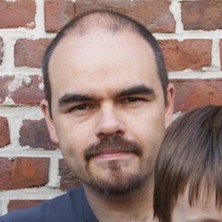 Geert was part of the original MySQL Engineering Team at Oracle, working as lead developer on both MySQL Connector/Python and MySQL Router. Geert was a key member of the MySQL Support Team for more than 7 years. Old comments are (or will be) added as static content. Nothing to hack; nothing to crack.